Sabre 500,000 Volt Stun Gun | BUDK.com - Knives & Swords At The Lowest Prices! 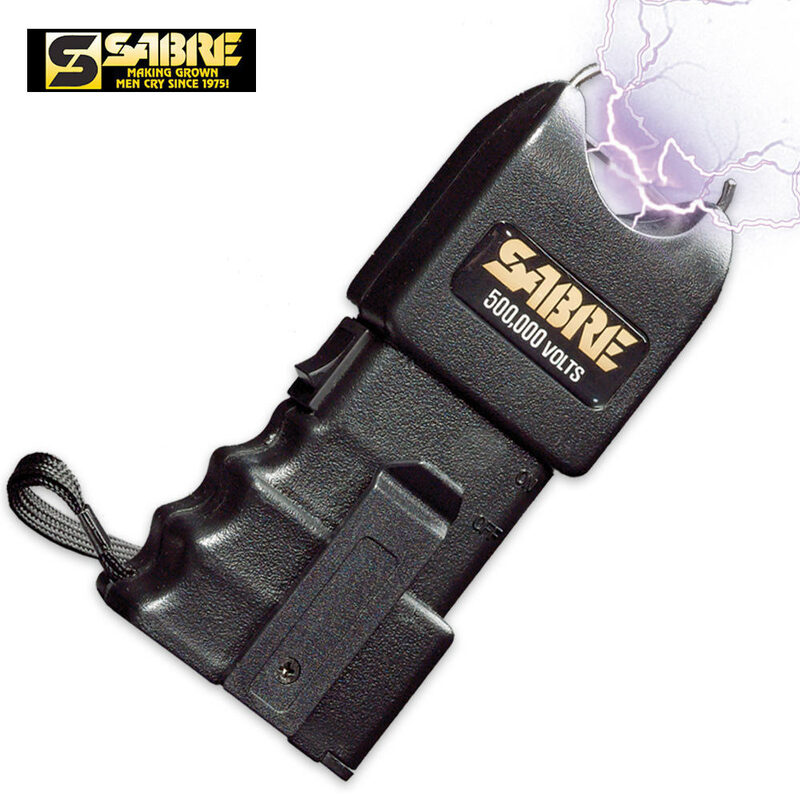 You can be confident in your ability to defend and protect yourself with the 500,000 Volt Self-Defense Stun Gun from Sabre. This powerful immobilization device delivers 500,000 shocking volts of electricity to would-be assailants, allowing you to defend yourself and stand your ground. Features include dual stunning probes, on/off safety switch with separate firing trigger, a wrist lanyard and belt clip. Requires nine volt batteries.